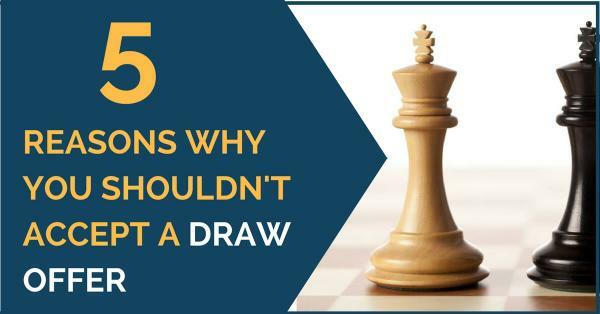 5 Reasons Why You Shouldn’t Accept a Draw Offer | Free chess downloads and training sites. Study material and suggestions. Online shopping. ← [Flash Sale!] The Deep Dive Series – the KEY to Winning Tournaments! If you are getting started in the world of chess competitions and you aren’t contaminated yet with this chess virus, we have some thoughts for you. If you have been long enough playing and have developed the habit of reaching out to your opponent with the white flag, hear us out too, maybe you’ll change your mind.